McLeans Peter Gzowski's life does not need to be retold here because those who knew him have heard the story and relish his days as a cub reporter at Moose Jaw Herald, editor of McLeans and fifteen fabulous years as the host of CBC 9:00 to 12:00 Morningside. friend Truck drivers, farmers, housewives, fisherman, where ever there was a radio the charming gentle and intelligent voice of Peter Gzowski was there talking to them about everything. Music, art, literature, politics, coping with life, being a Canadian and mostly about being your friend. Every listener had a personal relationship with that man and his voice, we chuckled with him tried to quit smoking with him and let him educate us. North In Canada's North and in those remote places were the CBC is there holding the attention and often the sanity of everyone Peter Gzowski was especially a close friend. There were only about twenty-five hundred of us in Watson Lake Yukon but we all consider him as one of us and at least three of us had talked to he and his audiance because he had called us up. It was the same in Whitehorse, Aklavik, Fort Simpson and Cumberland House. effigy In a country as richly endowed with unique individuals, Peter Gzowski know what that meant and he revelled in the culture. He had been almost everywhere in the country either as a reporter or as a guest speaker or as the host of Morningside and he knew us all and what we were about. Not only did he understand Canadians but he could tell other Canadians about us. Sometimes it was a little embarassing but it was to our own good. As a McLeans reporter he dug up a racially frightening situation in North Battleford that brought the citizens of that town out to burn him effigy. tobacco Peter's addiction to tobacco was his major failing, he recognised that it was killing him but was unable to stop smoking until only two years ago and by then he had only two years to live. When in failing health he decided it was time to leave Morningside, no one could imagine him being replaced because no one else knew us like he did and there was knashing of teeth throughout the land when CBC in their wisdom put on a cold Quebec broadcaster Avril Benoir and the sensible but aloff Michael Enright. 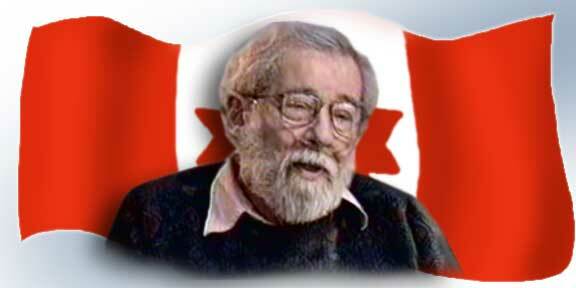 Peter Gzowski was missed then and with is death yesterday every Canadian has lost their man. music He told us our story, in print, on the air and through the marvellous inspiration he was to artistic performers. Peter Gzowski was not a music guy but he was an insatiable fan who loved it all from the classical to folk and everything in between. 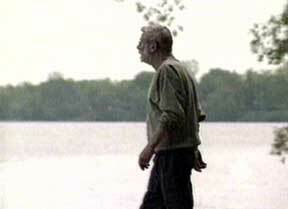 He made Canadian music stars and blessed others just as he cheered on Canadian writers and poets. A lot will be said and written about his charity work with the champion cause that consumed a good deal of his life, literacy. This facit of the great man's life was his passion and will go on long after his name has become a distant memory. inspiration As for memories, each of us who listened to him will have filed away great moments and precious interviews and incidents when we got something free from Peter Gzowski. As you read Ensign or Saskatchewan News each day you are sharing a benefit of someone who was inspired to take a step beyond, to take a chance and put this web site online each and every day. Peter Gzowski was Mr. Canada but so vast was his influence on Canadians that though we will miss the work he would have continued to do much of what needed to be done has been accomplished and his inspiration, his spirit of what it is to be Canadian will live on and on. I wanted to read that new book he was working on but alas I will instead cherish the ones already written and those inspired for there would never have been a Stewart McLean without the encouragement of Peter Gzowski and we would never have wanted to hear the brilliant Sheila Rogers giggle in our ear each morning if it had not been he who prepared us for the next evolution of our country, this country, this country in the morning.